Alfalfa is being mowed and baled. Some alfalfa fields are being irrigated. Recently harvested fields are being replanted with Summer beans, corn and Sudan grass. Dry land grains are suffering because of the lack of moisture, and most are being turned under. Wheat being grown for fodder is being harvested. Black eye peas continue to be shipped to Asian markets. Grape vine training, leaf thinning, bunch thinning and bunch tipping is continuing. Pistachios are being exported to China, Russia, the United Kingdom, Norway, and Israel. Stone fruit harvest is continuing with a strong domestic demand. Stone fruit is also being exported to Mexico, Brazil, Taiwan, and El Salvador. Walnut set seems to be normal, while almond set seems to be above normal. Valencia harvest continues, with exports going to Europe, the Middle East, and South America. 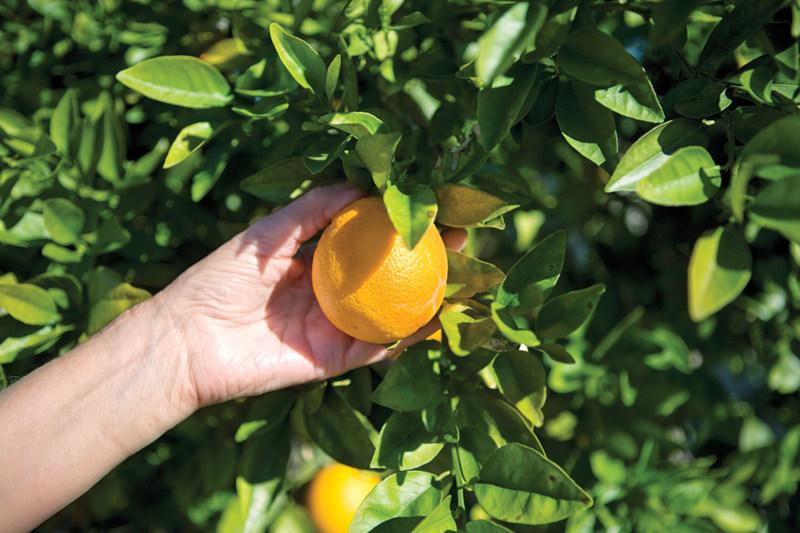 June drop in citrus orchards is occurring due to the high temperatures. Olive bloom is finishing up. Pomegranates are in full bloom. Summer vegetable planting is in full swing, with some fruit already setting. Blueberry harvest is continuing with high export demand. Berries are being exported to Japan, Taiwan, Brazil, and Canada. Melons, tomatoes and eggplants are growing well. Squash is being packed and shipped domestically. Strawberries continue to be picked and sold at road side stands. Rangeland feed and water are still experiencing dry conditions, and are in fair to poor condition. Fed cattle market was down $1 with prices at $125/cwt. Certified producer inspections continue for Certified Farmers. There is an increase in new citrus planting. Hibiscus flowering plants are being exported to Canada and Holland. – Prepared by Marilyn Kinoshita, Tulare County Agricultural Commissioner/Sealer.